Sheldon Grywacheski is a grain producer and professional engineer born and raised in Saskatchewan. He’s gained 30 years of experience working with John Deere, Mitsubishi Hitachi, Brandt Engineered Product, Case Corporation, the Prairie Agricultural Machinery Institute, and now Dutch Industries. Sheldon has also had extensive exposure to farms and to producers throughout Canada, the United States, South America, Europe and Australia. Spreading manure is an excellent way to return nitrogen and phosphate to the soil, allowing animal/crop protection to come full circle: growing a crop or grazing takes nutrients from the soil, while animal waste contains those needed nutrients. Done correctly, it’s a sustainable system. So how do you make the most of your fertilization? DO: Spread manure at the right time of the year. DON’T: Apply the same manure to the same piece of land each year. 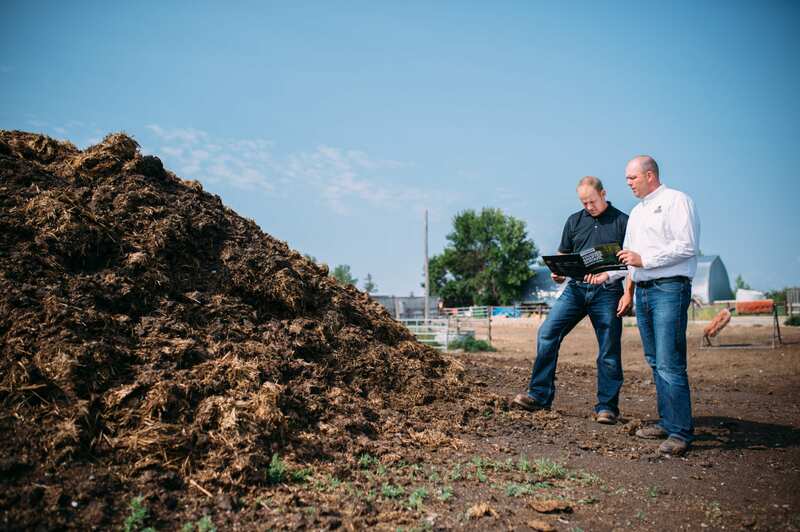 DO: Make sure you know what’s in your manure. DO: Be aware of loading challenges. When spreading manure, the size of the equipment matters. Too small and you are making too many costly trips to the pen. Too large and you may not be able to maneuver in small pens or get through soft fields, and may have increased soil compaction. DO: Determine what works best for your operation. Consider utilizing multiple spreaders that match up with your current employee staffing and existing tractors and loaders to increase spreading operation efficiency while using already owned capital. Multiple mid-sized spreaders are also used by producers wanting to avoid complete shut down due to a breakdown of a singular spreader.